In Germany as in other parts of Western Europe, complaints were rife about the poor quality of book production and design at the end of the nineteenth century. This exhibition, on view through Fall 2017, examines the movement to reform the German book between 1890 and 1930, now referred to as the Buchkunstbewegung [German Book Art Movement]. 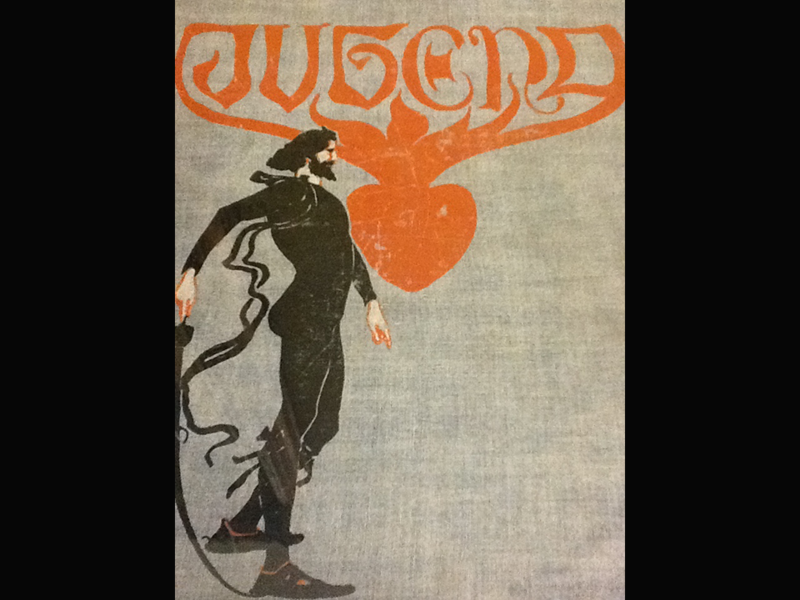 The exhibition, curated by Associate Librarian Catherine J. Minter, shows influences on this movement, and important examples of innovative German book art and design from the late nineteenth century. In addition, it showcases the output of several major German publishers and private presses in the early decades of the twentieth century. A particular area of focus is typography, in accordance with the “typographical turn” in German book design between 1890 and 1930. Exhibition highlights include important examples of German expressionist book art and design, some of the finest books printed by German private presses in the early twentieth century, and John Heartfield’s cover art for the radical Berlin publisher Malik. All items in the exhibition are owned by either the Lilly Library or the Wells Library. The exhibit is currently on display in the Lincoln Room and foyer of the Lilly Library.